The time after a car accident can be painful and overwhelming. The emotional and physical consequences of the crash can make it difficult for victims to go about their lives as before. Unfortunately, not everyone will offer these victims the time and space they need to fully and expediently recover. It can be difficult to consider pursuing a legal case with so many other stresses during this time. However, while the law allows accident victims to pursue justice and compensation for their injuries, time limits do exist to file a legal claim. Statutes of limitations are rules that set a time frame for accident victims to pursue a legal case against the person or people responsible for their injuries. These rules are meant to encourage victims to mount a claim within a reasonable amount of time and to protect defendants from an excessive ongoing threat of litigation. Typically, once the amount of time stated in the statute has passed, a victim cannot take legal action against the responsible party. 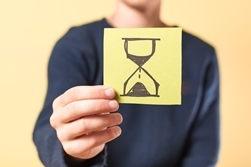 Different statutes of limitations exist for different types of cases, and every state has its own rules regarding these time frames. 2 years – to file against a private individual or business. 6 months – to file against a government employee or entity. While this may seem like plenty of time to consider a claim before actually filing one, the time can pass much more quickly than expected. There is evidence to be obtained and documents to prepare and file, all of which does take time. Additionally, if a victim wishes to sue the government, if you were to be involved in an accident with a city bus, for example, the victim also has to notify the government of his intent to sue. Discovery – The discovery rule allows for injuries that were not discovered until sometime after the accident. In some cases, injuries are not known until well after an incident has occurred. If the victim could not reasonably have suspected the injury within the two-year statute, they may be permitted to file a later claim. Tolling – Tolling the statute essentially stops the clock from running. In some cases, the victim may not have been capable of pursuing a claim, such as when minors are involved in accidents, the victim experienced some type of mental incompetence, or the victim was bankrupt. In these cases, the limitation is tolled until that disability has ended. The statutes of limitations can be based on a number of factors, and accident situations can quickly become complex. An experienced accident attorney can help victims understand how the time limits affect their case. Additionally, effective representation can address the court to adjust the limitations when appropriate. Every case is unique, however, and most cases must adhere to the two-year rule. While it can be difficult to take that first step, promptly addressing your legal rights can ensure that you and your family are able to obtain the justice and compensation you deserve. If you have suffered injuries in a car accident, don’t delay in calling the experienced accident attorneys at Kennedy Hodges, LLP. Our dedicated legal team can get started protecting your rights while you focus on what really matters. Even if you aren’t sure if have a case at all, take a moment to fill out our online contact form, and you’ll receive a prompt response from a member our team. A car crash can be both a scary and frustrating experience. In addition to the stress of the incident itself, accident victims often must also deal with physical injuries, emotional pain, property damage, and more. Accidents also take a financial toll, especially when victims are forced to miss work due to their injuries. These situations are only made worse when the driver responsible for the crash is uninsured. Every driver in Texas, and nearly every other state in the country, is required to carry auto insurance. Unfortunately, there are many who ignore these laws and continue to drive without even the minimum amount of insurance. An Insurance Information Institute (III) study reported that approximately 12 percent of the drivers nationwide fail to secure the proper insurance, and the state of Texas ranks among the highest in the country, with 1.6 million uninsured drivers. While the state minimums can keep a driver on the road legally, they are often inadequate to cover the expenses incurred after a serious accident. As a result, drivers can elect to purchase both higher coverage amounts and additional types of coverage. One common type of additional coverage protects drivers against uninsured or underinsured motorists. One study by the National Highway Traffic Safety Administration (NHTSA) examined the sources of payment for auto accidents and found that 25 percent of the time, private individuals bear the burden of crash costs. Paying out of pocket for the expenses related to an accident can be extremely costly. Accident victims are often forced to miss work due to injuries, and this loss of income only adds to the stress of the mounting bills. To help protect drivers from this situation, uninsured motorist coverage is available through most insurance companies as an addition to a basic policy. It covers the medical expenses and property damage you sustain in an accident caused by a driver who does not have insurance. The policy can be pricey, but it may be invaluable if you are involved in an accident. Uninsured motorist insurance can also cover victims in cases where the at-fault driver has insurance, but it is not adequate to cover the entirety of the bills related to the accident. This insurance would cover the vehicle owner, family members, passengers in the car, and anyone driving the vehicle with the owner’s permission. It can feel frustrating to have to purchase insurance to protect yourself from those who disobey the law and refuse to pay their part. However, there are often limited options when it comes to holding an uninsured driver accountable. Often, these drivers have little money. While it can be possible to pursue a personal injury claim against these individuals, every case is unique, and only an experienced accident attorney can examine your case and help you determine your best options. After a car accident, victims and their families should be able to focus on recovery and not wonder how they are going to pay their bills. If you or someone you love has suffered injuries in a car accident with an uninsured or underinsured driver, the dedicated legal team at Kennedy Hodges, LLP, may be able to help you obtain the justice and compensation you deserve. Call our accident attorneys today at 855-947-0707 to learn more about your rights. What are the auto insurance requirements in Texas? There are over 200 million licensed drivers that travel the roads in the United States. Every day, at all hours, in all road and weather conditions, people climb behind the wheel. Inevitably, accidents happen. From minor fender benders to major crashes that inflict serious injuries, car accidents occur every day. Last year in Texas, a car crash occurred about every minute. As a result, nearly every state requires drivers to maintain auto insurance. Auto insurance pays for the property damage and injuries drivers and passengers sustain in a crash. Each state, however, takes its own distinct approach to car insurance, and Texas is no exception. Here, learn more about the insurance requirements in Texas and how they can affect you and your family after an accident. Bodily Injury Liability – This covers expenses related to injuries or death sustained by others when you cause an accident. 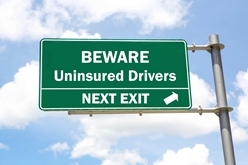 Drivers must carry at least $30,000 in coverage per person and $60,000 per accident. Property Damage Liability – This covers damage to another person’s property and can include other vehicles, vehicle contents, homes, buildings, or other structures. Drivers must carry at least $25,000 in coverage. Uninsured/Underinsured Motorist – Protects drivers and their passengers when they are injured in a crash with a driver who does not have auto insurance. Their own policy will cover medical expenses. Personal Injury Protection – Offers additional coverage for those suffering injuries in a crash, including compensation for lost wages if the injuries force you to miss work. Collision – Repairs or replaces your own vehicle if damaged in an accident. Comprehensive – Repairs or replaces your own vehicle if damaged by something other than a crash, such as a storm or theft. While these types of coverages are not mandated by the state, it is often a good idea to carry them. Car accidents can inflict serious damage to both property and individuals, and the financial strain can be significant. Additionally, Texas is a fault state when it comes to auto accidents. In a fault state, someone is assigned blame for the accident and is considered the at-fault party. That person is financially responsible for the consequences of the accident, which can include paying for damage to the car, other property, medical bills, lost wages of the injured, and more. Auto insurance exists to help cover these costs. However, for victims involved in crashes with the uninsured or those whose policy does not fully cover the cost of the accident, accountability is still available. Texas law allows accident victims to pursue a personal injury case to obtain compensation for the full extent of their injuries and property damage. If you or someone you love has suffered injuries in a car accident, the experienced lawyers at Kennedy Hodges, LLP, may be able to help. Call us today at 855-947-0707 to reach us in our offices in Texas or Washington, D.C. We help accident victims all across the country obtain the justice and compensation they deserve. What do I need to know about a structured settlement? If you or someone you love has suffered injuries in a car accident and pursued a personal injury case against the responsible party, you may be anticipating a significant amount of compensation for your medical bills, lost wages, pain and suffering, and more. There are a few different ways that victims can be awarded this compensation, including a structured settlement. A structured settlement is an agreement in which the money awarded to an accident victim is paid out over time. Rather than receive a large lump sum right away, the victim is given the compensation in equal amounts over months or years. Typically, the monetary award is put in an annuity from a life insurance company. An annuity is a form of insurance that is paid out in regular disbursements. Annuities are also commonly used for retirees, to ensure they receive a steady stream of income over the years of their retirement. The payments are tax free. The recipient can designate an heir who can continue to receive the payments in the event of the primary recipient’s untimely death. The payment schedule is flexible and can be designed to meet each individual’s unique needs. Receiving payments over time can ensure a steady flow of income and reduce the temptation to spend the large lump sum quickly. The payments can often yield a larger amount of money than lump sum payments due to interest the annuity can earn over time. Once the terms of the structured settlement are finalized, they cannot be renegotiated at a later time. The full amount of compensation is not readily available if the victim needs to access it for any reason. Some parts of the settlement can still be taxed, including attorney’s fees and punitive damages awards. The annuity is dependent on the honesty and reliability of the insurance company that holds it. Accident victims should carefully weigh their options and discuss their situation with their attorney and financial advisor. If you or someone you love has suffered injuries in a car accident, you may be eligible to pursue a personal injury claim. Contact the experienced accident attorneys at Kennedy Hodges, LLP to schedule a free consultation and learn more about your rights. What Kind of Evidence Do I Need to Support My Car Accident Claim? What is comparative negligence, and how does it affect my Texas car accident case? Every day, we interact with those around us. Even if passively, when we go out in public, we have the power and influence to change the lives of others. When we wait in line at the grocery store, take a run through the park, or have dinner at a restaurant, even our simple actions can affect those around us. This is perhaps no more true than when we get behind the wheel of a car and take to the road. Drivers have a special responsibility to take care and act reliably on the road. When a driver fails to live up to that responsibility, other drivers and passengers can be seriously hurt or even killed. The law allows those victims to pursue a personal injury case to hold careless and negligent drivers accountable for their actions. Every state, however, takes a different approach to what it deems appropriate in an accident case. In Texas, state laws follow the convention of comparative negligence. This method for determining fault is key to understanding what a personal injury claim can mean for you. Every accident happens for a reason. Sometimes, an accident is just an accident, and no amount of care could have prevented it. Many other times, however, a driver acted in a careless manner and caused the crash. A personal injury case seeks to show that a driver was at fault and hold that person accountable through compensation to the injured party. To be successful, a personal injury case must show that a person acted in a negligent manner to cause the crash. In general, negligence is regarded as failure to take reasonable care in action. Comparative negligence understands that every situation is unique, and one person may not be entirely to blame for an accident. Under comparative negligence rules, the accident is assessed by the courts or an insurance company, and a degree of blame is assigned to each party. If a driver failed to yield at an intersection and crashed into a second driver, the first driver would be at fault. However, if the second driver was traveling 10 mph over the speed limit at the time, that driver would share some portion of the blame. For example, the driver who failed to yield may be 85 percent responsible, while the speeding driver would be 15 percent responsible. The determination of fault is important to compensation in a car accident case. Texas follows the system of modified comparative negligence, which means the at-fault driver does not have to take responsibility for the victim’s share of the blame. This is referred to as proportionate responsibility, and any compensation awarded to the victim is reduced by his percentage of fault. Let’s say the victim in the previous example was awarded $100,000. That amount would be reduced by his portion of the fault (15 percent), and he would receive $85,000. Can I Still Pursue a Claim If I am Partly to Blame for the Accident? This system protects both the victim and the at-fault driver from having to bear an unnecessary burden. Ideally, each party takes responsibility for only the role he played in the accident. So, a victim is allowed to pursue a legal claim even if they are partially at fault. This can change, however, depending on one’s level of fault. In Texas, if you are found to be more than 50 percent at fault, you may not pursue a claim against the other driver. As a result, the determination of fault in a modified comparative negligence case can be critical. It can dictate how much compensation a victim can receive or even if a victim can obtain compensation at all. For the injured parties and their families, that compensation can be vital in securing proper medical care and ensuring the financial stability of the family. At Kennedy Hodges, LLP, we understand how important these cases can be. Our experienced legal team can help ensure the best outcome for a personal injury case by investigating the accident, securing expert witnesses, filing appropriate court paperwork, negotiating with insurance companies, or even taking the case to trial. Often, victims are left to face mounting bills, missed work, and painful recoveries. When you or someone you love are injured in a car accident, you should have the time and energy to focus on what really matters—recovering both physically and emotionally. Call the knowledgeable lawyers at Kennedy Hodges, LLP, today to at 855-947-0707 learn more about how we can help ease your burden and help you seek the justice and compensation you deserve. How much will it cost to hire an attorney for my car accident case? You’ve suffered injuries in a car accident that have left you with mounting medical bills and kept you from going to work. While it can be daunting to think about pursuing a legal case against the driver responsible for your injuries, you want to ensure that you can continue to receive the proper medical care and to pay your bills despite the loss of income. Often, victims try to handle their own case, or they simply do not pursue a claim at all. Help is available, however, and it may be much more affordable than you think. What Are Typical Fees Associated With a Personal Injury Case? When it comes to paying your attorney, there are a number of options. You and your lawyer will discuss your case and agree on a payment plan before you finalize the attorney-client relationship. This way, there are no surprises when the case is resolved and payment is due. The most common payment agreement for a personal injury case is called a contingency fee. With a contingency fee, the client does not pay the attorney until the case is resolved successfully. Typically, the attorney fees are paid directly from the settlement. No money is due upfront. The lawyer and the client agree on a fixed percentage, and that amount is taken from the award. If the case is not successful, the client is not charged. Negotiation experience. These cases often involve negotiations with insurance companies. An injury lawyer has engaged in these negotiations before and understands just what kinds of information and arguments can be effective. Legal knowledge. Having navigated the legal system in the past, an attorney can help you understand what to expect, know what to do, and ensure that all important deadlines are met. Court decisions and insurance settlements are binding, and they typically cannot be changed once handed down. It is vital to offer a thorough and complete case to make sure you obtain the justice and compensation you deserve. If you or someone you love has suffered injuries in an accident and you are considering making a legal claim, contact the experienced attorneys at Kennedy Hodges, LLP today. Our legal team can help you understand and protect your rights, and we will work with you to arrange a manageable fee agreement. How Long Do I Have to File a Car Accident Case? What evidence do I need to support my car crash claim? The time after a traffic accident can feel chaotic and overwhelming. Often, injuries must be addressed right away. Even when lucky enough to avoid serious injury, many people are not often involved in car crashes and may be unsure of how to proceed. This can make it difficult to obtain the evidence important to a personal injury claim. If you or your loved one has suffered property damage or personal injuries in a car accident, you may want to pursue legal action against the person responsible. Often, these accidents result in missed work and lost income. A personal injury case can help victims obtain justice and compensation to ensure a smooth and secure recovery. These cases, like most legal matters, depend on specific evidence. The more information and documentation a victim can offer the insurance company or the courts, the stronger the case. If possible, try to gather as much evidence as quickly as possible. What Kind of Evidence Do I Need for a Texas Car Accident Case? Photos of the vehicles involved. Makes sure to photograph any damage up close, as well as the vehicle as a whole. Photos of the accident scene and surrounding areas. Take photos of the area of the accident, including anything that may have played a role in the crash. This could include road signs, debris, and more. Witness statements and contact information. Talk to people who witnessed the accident and record their version of the events. Take down their contact information so they can be reached later if necessary. Video of an impaired driver. If you suspect your accident was caused by an intoxicated driver, it can be helpful to have video evidence if the driver is slurring speech or stumbling. However, exercise caution when doing so. Intoxicated persons can be unpredictable and may not be amenable to a video being taken. There are other ways to show the driver was intoxicated, so do not put yourself at unnecessary risk. Your own written account of events. 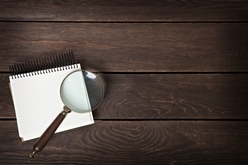 While your own journaling of the accident may not be entered into a court record, it can help you recall specific details that may become hazy as time goes by. Legal matters can take time, so it’s best to make sure you have recorded all information that may be relevant for later recall. Police reports. Police reports offer a story from a neutral third party (the recording officer) and can contain key information. A copy of the report can be acquired from the local police station or an experienced attorney can help victims obtain the report. Proof of payment of your insurance premiums. Medical records of injuries related to the accident. Income records from before and after the accident. Documents related to car repairs. 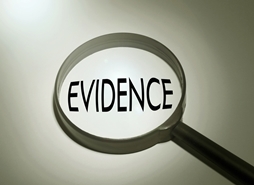 How Do I Obtain Evidence to Support My Claim in Texas? Much of this evidence is readily available; it simply needs to be gathered. Other pieces of information, such as witness statements, police records, and 911 recordings can be slightly more difficult to obtain. An experienced lawyer can help accident victims understand the legal system and ensure that they have all the information available. Additionally, a legal team can obtain information that can be used as evidence from the opposing parties through depositions (interviews) and interrogatories (written questions). Conversely, don’t mistakenly offer the opposing side any information that you are not legally obligated to provide. The lawyers and insurance adjustors working with the at-fault driver will also be seeking to find evidence that will protect their own financial interests. Don’t talk with an insurance adjustor or sign any forms without talking to qualified attorney first. If you or someone you love has suffered injuries in a Texas car accident, you may be eligible to make a claim. Take action today to preserve the evidence you need to protect your rights with the help of the experienced accident attorneys at Kennedy Hodges, LLP. Fill out our online contact form and you’ll receive a prompt response from a member of our legal team. 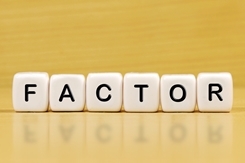 What factors could influence the amount of my auto accident settlement? If you are like many auto accident victims, you want to know how much you can expect to receive when your claim with the negligent driver’s insurance company is resolved. It may be frustrating when your attorney gives you a range, but tells you the final amount will depend on the facts of your case and other mysterious factors. Unfortunately, this is true. Your attorney cannot tell you exactly what your bottom line settlement will be. However, there are certain guidelines that affect whether your claim for compensation is stronger or weaker. Consistency in your version of events. You could tell a number of people how the accident occurred. These include the police officer, emergency medical technicians, physicians, nurses, and other medical providers at the hospital, your doctor, and your insurance adjuster. Once you make your claim, you could explain everything again for the negligent driver’s insurance adjuster, his attorney, and the jury. His adjuster will compare your statements to determine if there are any inconsistencies in what you claim happened in these various statements. While you may never say the exact same thing each time, you want to remain as consistent as possible. If you are, the adjuster will perceive you as a strong witness, increasing the amount of your compensation. 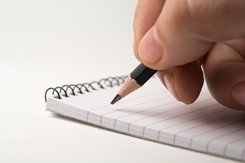 If there are a lot of inconsistencies in your story, you may need to be realistic and accept a lesser settlement. Strong evidence of the other driver’s fault. If you have strong evidence that the other driver was negligent, this will play an important role in swaying the insurance adjuster in your favor and increasing your settlement award. What is strong evidence? A police report with the police officer’s conclusions as to the other driver’s fault and that a citation was issued could be extremely persuasive. In addition, surveillance footage that shows how the accident happened can be helpful. In certain types of crashes, such as a rear-end collision or left turn crash, the driver may be presumed to be at fault. Your own fault. The District of Columbia follows the harsh pure contributory negligence doctrine, which means that you are entitled to no compensation if you were even one percent at fault in causing your crash. If your own negligence is an issue, this could weaken your case and make negotiations more challenging. Consistent doctor’s statements. You will have to provide the insurance adjuster with your medical records to document your injuries. He will look very carefully at your doctor’s opinions to compare to how injured you claim you are. If they are inconsistent, this could make it look like you are exaggerating your injuries and significantly reduce the value of your claim. Your post-crash actions. How consistent your actions are with the injuries you claim to have suffered has a vital role in the strength of your case. The insurance adjuster could search your social media sites or hire a private investigator to watch you at various times in the claim process. If you are doing things that would be impossible given how you claim to be hurt, this will obviously have a negative effect on your ability to receive all that you deserve. An experienced car accident attorney should be able to give you an idea of the specific factors that could influence the final resolution of your claim. Start an online chat with the legal team at Kennedy Hodges, LLP, to schedule your free, no-obligation consultation. Should I Sign a Medical Release of Information? Should I talk to the insurance adjuster for the negligent driver? Before you get home from the hospital, you could be receiving calls from the insurance adjuster for the negligent driver. He may sound like a nice person that is genuinely concerned about your health and your claim. However, talking to him could have disastrous consequences that could reduce how much you receive in your settlement. An insurance adjuster is an employee of an insurance company who investigates claims and makes decisions on how much compensation is due. He will make a determination as to who was at fault in causing a crash and how much he believes the victim’s claim is worth. An insurance company is a business and is like any other business and wants to make a profit. An insurance adjuster helps with this goal by denying and reducing claims—even when they are legitimate claims. While the adjuster you speak to may be a nice person, you need to keep in mind his overall objectives in talking to you and be extremely wary to not make an inadvertent mistake. Why Does the Insurance Adjuster Want to Talk to You? Acting like he’s on your side. The adjuster may act concerned about how your injuries are affecting your life and suggest that he is asking for information from you to speed up paying your claim. In reality, he is doing the opposite. He is looking for ways to deny or reduce your claim. Requesting a recorded statement. Do not be surprised if the adjuster asks you to give a recorded statement. You should say no to this request as you are not required to give one and the adjuster is a master at getting you to say things that could hurt your case. Asking for a medical authorization. The adjuster will also ask you to sign a blanket medical authorization for release of information. Do not agree to this either as it provides him with unnecessary information that he could use to dispute your claim—such as a preexisting injury. 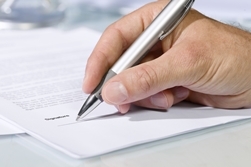 You should never sign this or any other documents without having an attorney review them first. Following you on social media. With the increased popularity of social media, the insurance adjuster could try to friend you on your social media sites. You should not accept his friend request. He will look at your posts to see if you said anything harmful or that suggests your injuries are less serious that he can use to reduce your claim. Making a quick settlement offer. If the insurance adjuster makes you an offer or settlement soon after the wreck, warning bells should go off in your head. He is not trying to be fair and do the right thing. He is trying to get you to settle your claim quickly—for less than what it is worth. What Should You Do If You Are Contacted by an Insurance Adjuster? If you or a family member suffered injuries caused by a negligent driver, let the experienced car accident attorneys at Kennedy Hodges, LLP, take over communicating with the other driver’s insurance adjuster for you. Start an online chat to schedule your free consultation to learn how we can assist you. Should I sign a medical release of information for the negligent driver’s insurance company? After your car accident, you will quickly learn that few decisions regarding your claim for compensation with the negligent driver’s insurance company are easy. What appear to be straightforward requests can be based on ulterior motives designed to deny or reduce your claim. A request for you to sign a medical authorization for release of information may seem innocent. However, it is not, and you could seriously hurt the value of your claim by agreeing to sign this document. What Is a Medical Release of Information Form? A medical release of information form is a document that authorizes someone else—in this case the insurance company for the negligent driver—to obtain your medical records. It gives them the right to go directly to your treating physicians, hospital, physical therapist, and other medical care providers that you are seeing and request a copy of your medical records. While this may seem like a reasonable request, whether it is will depend on what type of release the insurance company is asking you to sign. Is it a blanket medical authorization or a more limited one requesting specific medical records for a certain period of time? Past medical history. The adjuster wants to look at your prior medical records to see if you suffered another injury to the same part of the body injured in the crash. This is known as a preexisting injury. While it has no bearing on your current claim, the adjuster will use this information to try to argue that your injuries were caused by this incident in the past in an effort to deny or reduce your claim. Doctor notes. A blanket authorization gives the insurance company access to your doctor’s notes. They are looking for anything you may have said that is inconsistent with the injuries you claim to have suffered. For example, if you did not experience symptoms of your injuries when you went to the emergency room after the crash, the adjuster could argue you were not really injured. However, this is not true since many symptoms of medical conditions will not develop for days or longer after the accident. Prior doctor visits. The insurance adjuster wants to review your history of going to the doctor—even for conditions unrelated to your injuries. He will use this information to argue that you are an “eggshell” or fragile patient because of your frequent health issues and that this somehow makes your claim less valuable. Creating potential disputes. By giving the insurance company access to all your records, you are giving them ammunition—such as preexisting injuries or inconsistent statements—that they can use to dispute your claim. While an experienced car accident attorney can defeat many of these bogus arguments, you risk creating weaknesses in your case that force you to accept less in settlement. Giving away your privacy. You are not only giving the insurance company more information than they are entitled to if you sign a blanket authorization form. You are also giving them private, potentially sensitive information regarding your medical condition that has absolutely no bearing on your car accident claim. Providing information too soon. While some medical records will need to be provided to settle your claim, you want to wait to provide them—or to agree to a settlement—until you have completed your medical treatment and know your future prognosis. This is critical to ensure you receive the full compensation you deserve. You should not sign an authorization for release of medical information—or any other document—without first having an experienced attorney review it. This is true whether the negligent driver’s or your own insurance company requests you sign this form. Instead, inform the adjuster that you will provide the medical authorization form to your attorney to review. Then let the attorney take over communications with the insurance adjuster for you. If you were hurt in a car wreck, call us at 855.947.0707 to schedule your free case evaluation where we will be happy to discuss your legal options and review any release forms with you.